Ready to take your Korean studies to The next level? Whether you’re a beginner, or intermediate and higher looking to up your game, we’ve compiled the perfect list of textbooks for learning the Korean language. Our list consists of books that are very simple, yet thorough in how they teach you Korean. Sometimes it’s hard finding that perfect textbook that doesn’t bore you to death or seem so hard that you just want to give up. Although I still have some work to do to become fluent (help me out Hyo! ), I’ve used several of the books below to help get me from no nothing beginner to where I’m able to hold most conversations now. Some of the others are books that many of my friends have used. I’ve asked their opinions and compiled some of them into reviews. We’ve put what level each book is suitable for and links to where you can find them for purchase. Let’s go! I love this series because it teaches grammar in a simple and easy to learn format. This book was actually the first book I bought to learn Korean which was strange because you usually don’t start off with grammar right away when learning any language. I think by that time, I had a lot of vocabulary under my belt just from vocab lists online and wanted to actually start forming sentences. I saw this book in a store and picked it up. Inside, there are chapters that each cater to a specific grammar point and it explains how it is used by showing sentence examples and also several verbs using that grammar point. That’s the good thing about Korean grammar. It’s really like just plugging in a formula in math and they are easy to remember. The pages are also really engaging with colorful pictures and graphics. At the end of each chapter, there are a few exercises to reinforce what you learned. There are three books in this series so if you’re higher than beginner, there are books for intermediate and advanced grammar as well. I’ve only bought the first two and will probably by the third in the near future. 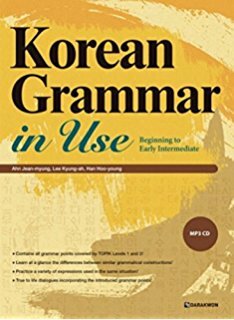 Find out more about Korean Grammar in use on Amazon. This book series was made by a popular Korean Language Youtuber who goes by the name Billy Go. I love this series because from the very first book, he incorporates knowledge of Korea and its culture within the lessons. 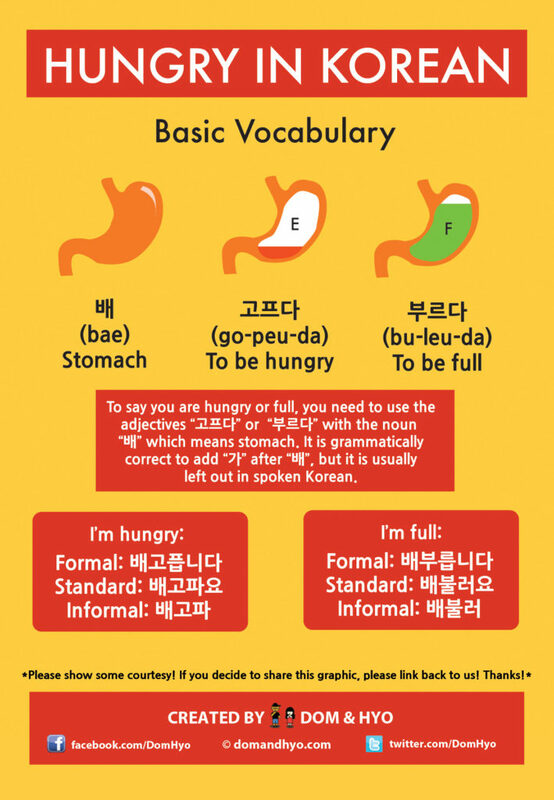 This is important because in order to speak Korean well, it is important to also have an understanding of some aspects of the culture as it will help you understand context and why things are said the way they are. The first book takes you from the very beginning by learning hangul, how it was formed and by whom, and how to write it properly. After that, each chapter goes progressively further from basics like saying hello all the way to verbs, adjectives, numbers, and colors. I find the first book to be perfect for beginners and although it’s not as “colorful” as some other books, I still find it to be one of the best resources out there. You can also find recordings to go with the books for free on his website. The third book in the series was just recently released so you will have plenty to cover if you start with this one. Learn more about Korean Made Simple here on Amazon. If you’ve ever been confused by verbs and how they are conjugated, this book really goes in depth on all of the basic verbs (100 of them in this book) you need to know. It’s great for beginners and early intermediate learners for getting the verb conjugations down as you may still find some conjugations confusing. Although some people find lists for vocabulary useless or annoying, I think this series could prove useful as a reference for conjugations. There are conjugation charts for each verb which are then followed by sample sentences and a quiz. Audio is also included at different speeds. If you are an intermediate beginner or higher, you may not find this book as useful as a beginner would. Still, I think it’s a good reference for basic conjugation rules. 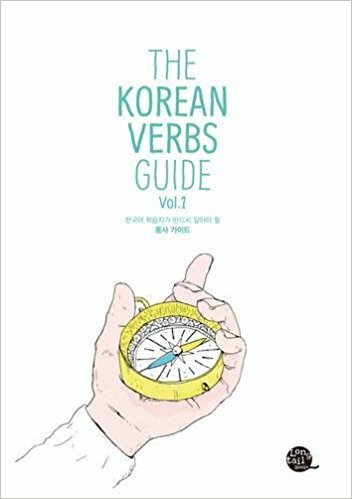 Read more about the Korean Verbs Guide on Amazon. If you want even more verbs to study, check out this book. It has extensive coverage of over 500 Korean verbs with examples sentences for context. Of course, conjugations are listed in a neat table and it also helps that you can easily search for any verb you want more info on by looking at the index in the back of the book. My only complaint is the use of romanization (I know we use it on our graphics here) as I think once you get past the beginning stage, it is not needed and is more of an annoyance than anything. However, this doesn’t take away from the books usefulness as it’s very hard to find conjugation tables like these for this many verbs in one place. Audio is also included with the book which is always a must. 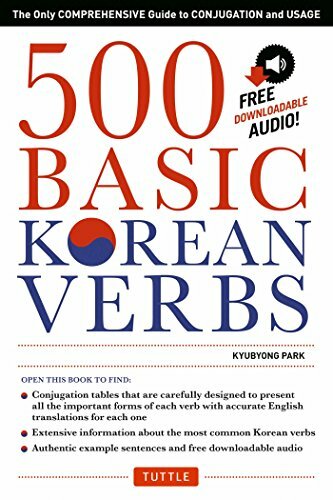 Find out more on 500 Korean Verbs on Amazon. There are also several more that go beyond the basics and into more advanced or more “Taboo” topics if you get my drift. In the actual lessons, a term or phrase is presented, and then there are examples given in Korean in context which really helps a lot. Translations are also found below. Also, even though we use romanization a lot for beginners on this site, you won’t find it a lot in this book, which I like. You will only see it for the actual slang terms and not the example sentences so knowing how to read and pronounce Hangul would be helpful. This book is good for all levels. 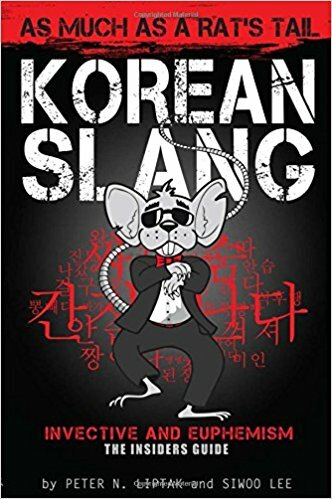 Get your Korean slang game going here on Amazon. 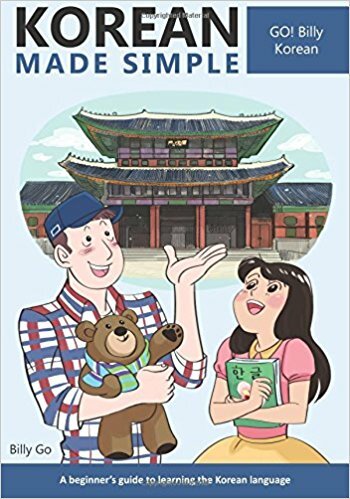 This has been one of the more popular Korean language learning books over the past few years because of its simple and easy to grasp way it explains everything. What I like most about this book is that after each chapter, you will be given a rundown of all the words you learned in that particular lesson. They are broken down into categories such as nouns, proper nouns, verbs, loan words, pronouns, and counters. This is very helpful as you can categorize the words yourself into your own lists instead of having them all mixed together. 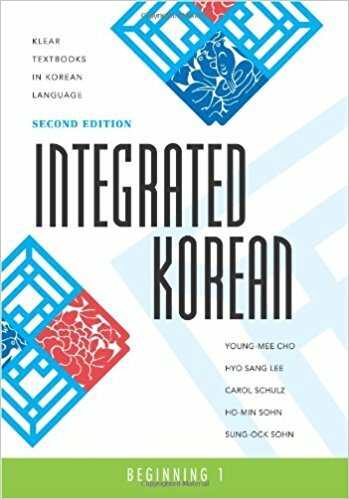 The premise of the book is centered around dialogues in Korean which are very natural compared to a lot of other textbooks I have studied with. One drawback could be that this book is primarily targeted towards people in university. However, I still think that a young learner could pick up some useful things for their studies as well. You will also find grammar points explained in detail and reading comprehension questions after each lesson. The only glaring problem anyone could find from this book is the lack of an answer key. However, everything else in Integrated Korean Beginning 1 is well organized and will definitely help you in your studies. This is the first book in a series of 4 which get more advanced as they progress along. Check out the series on Amazon for more info. This is another great book for beginners. 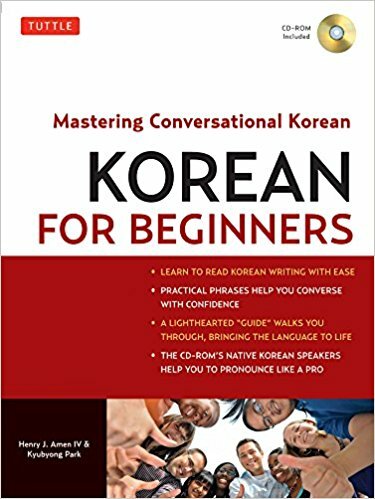 If you are just starting your journey with learning Korean, this book follows a clear and simple path to get you going. Like most other books, you start off with learning the characters and their pronunciation. After that, they take you through the basics like sentence structure, honorifics, and conjugations. From there, the lessons go into more detail about certain verbs, sentence patterns, and other vocabulary. Also included are little bits of info about Korean culture here and there and a bit of humor as well to keep you engaged in the content. Korean for Beginners also comes with an audio CD which is important when trying to replicate sounds of a new language you’re language. Learn more about the book on Amazon.